Send coupons direct to mobile wallet passes. No mobile app required! 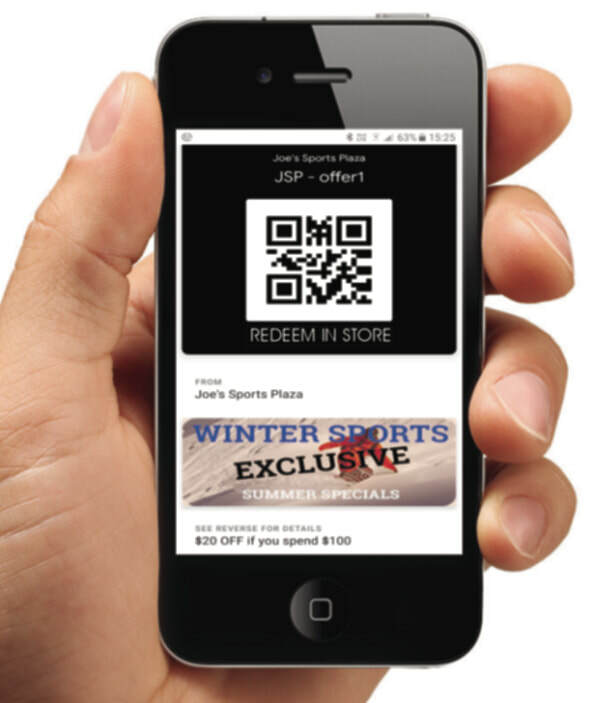 Create coupons that work on both Android and IOS phones. Simple customer experience. No registration required. Scan the QR code in store and coupon prints from your trusted POS receipt printer. ​Printed coupon contains all information and codes that your staff and POS need. ​Coupons are automatically cancelled as redeemed and retained for simple re-issue. Geo fencing and Beacon fencing provide notifications on the phone when a customer is close by. Modify or re-issue active and redeemed coupons. Offer your customers the convenience of Digital Receipts. Use our mobile app your use our API in your own app. Track the purchases and habits of your customers send them targeted offers. Subscribing to this service will mean that as soon as the printer has printed the receipt, a digital image of the receipt will be sent to the Cloud for collection by the customer by scanning a QR code at the bottom of the receipt or tapping the NFC beacon on the counter. ​All you need is our printer linked to the internet to be able to send receipts and coupons to an App on your customer’s phone.